Thanks for considering to be an affiliate with BtoZ Publishing (a ministry of the Rio Church, El Paso, Texas). I'm still working on setting this page up, and I'm not sure what information you would like to see here. I'll try to figure that out before you find this page, but if you're reading this, you won! So please feel free to contact Steve Nelson with your questions and he would be glad to answer them and update this page accordingly. 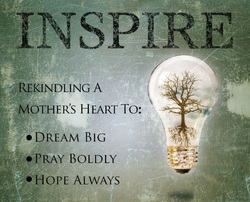 Testimonials:Inspiration is a forgotten idea in today’s Christian parenting. The idea that our children can be spiritual warriors no longer exists in America. Our desires, hopes, and dreams for our kids are merely shadows of their potential. We are not called to raise the next generation of halfhearted Christians who quietly live out their faith with no real influence or fervor. This is a recording of a live conference. These audios are challenging, motivational, and practical. Hundreds of Christian moms have been encouraged by these teachings and they are sure to bless you as well! Don’t miss Kathleen Nelson, mother of eight, as she shares what God has taught her along her journey of motherhood. There are 6 audio sessions with a total of nearly 7 1/2 hours of mothering input. A pdf of the conference handouts is included. The recordings are from a live conference. Each of the talks has been edited to remove as many speaking nuances as possible. Unabridged. 5 1/2 hours. Read by author. Discussion questions included.